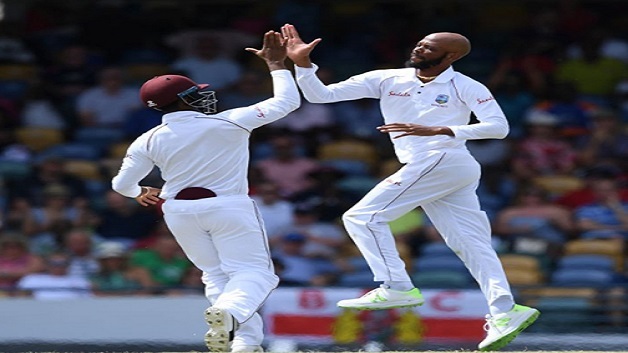 Off-spinner Roston Chase’s career-best eight-wicket haul propelled a dominant West Indies to their second largest win ever over England, as they crushed the hapless visitors by 381 runs inside four days of the opening Test to take a shock 1-0 lead in the three-match series here yesterday. 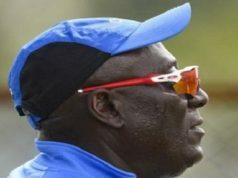 The 26-year-old bowled brilliantly to take eight for 60 – the second-best performance ever by a West Indies bowler against England – as the tourists, chasing an improbable 628 for victory, crumbled meekly for 246, three quarters of an hour after tea at Kensington Oval. Resuming the day on 56 with survival as the only realistic option, left-handed opener Rory Burns led the initial resistance with a top score of 84 while all-rounder Ben Stokes chipped in with 34 and Jonny Bairstow got 30. The next Test starts at the Vivian Richards Cricket Stadium in Antigua on Thursday February 1st 2019.